The VLP has a great need for volunteer attorneys to represent clients in several types of cases. These cases are opportunities to hone your skills and gain legal experience. We have wait lists for bankruptcy, foreclosure, uncontested divorce, wills and power of attorney, and 17A guardianship. To pick up a case, please click on the programs below, or send an email to Sidney Cherubin at scherubin@brooklynvlp.org. Sign up to volunteer and help the Brooklyn community. You can now watch the VLP CLE training videos at your convenience. The VLP currently has pro bono programs in Uncontested Divorce and Family Law, Consumer Law and Chapter 7 Bankruptcy, Elder Law, 17A Guardianship, and Foreclosure. Each training is available free of charge in exchange for taking a VLP pro bono case. 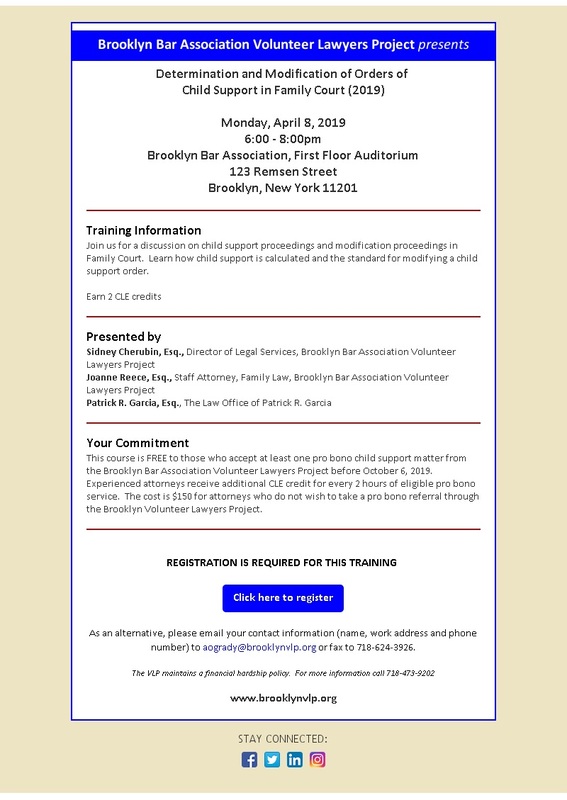 If you are interested in taking a case or have any other questions about volunteering, please contact Sidney Cherubin at scherubin@brooklynvlp.org. 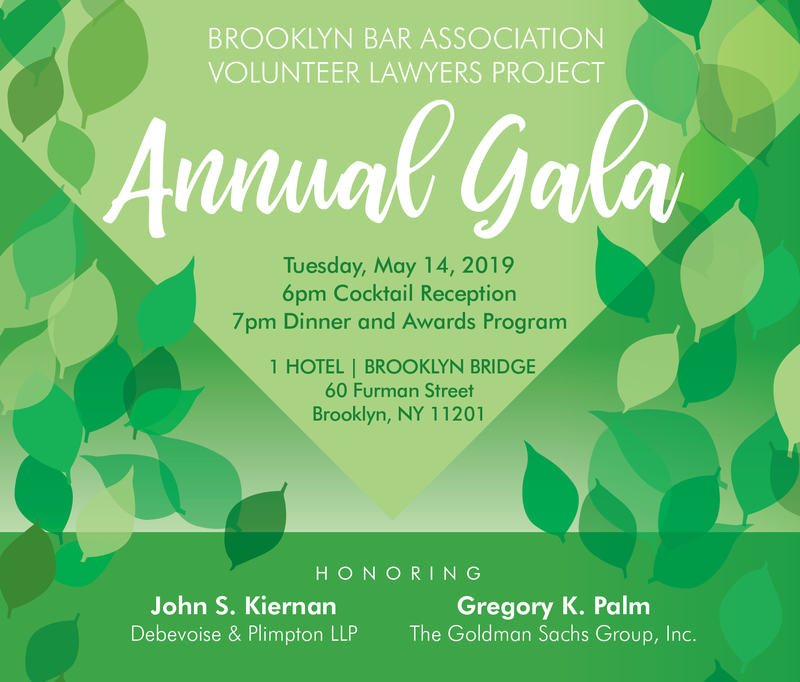 The Brooklyn Bar Association Volunteer Lawyers Project is recognized by the New York State Continuing Legal Education Board as an accredited provider of Continuing Legal Education (CLE) courses. Most CLE courses offered by the Volunteer Lawyers Project may be taken free of charge in exchange for completing one pro bono case for the VLP or donating time to a VLP-sponsored project within six months of the course. Why Stop There? Attorneys admitted two or more years in New York State may also earn CLE credit by completing pro bono work through the VLP*. *In accordance with CLE Board Regulations, experienced attorneys (those admitted 2 years or more in New York State) may earn CLE credits for performing pro bono work up to a maximum of 10 credits per reporting cycle. CLE Course Schedule Upcoming CLE courses are listed on the events calendar. 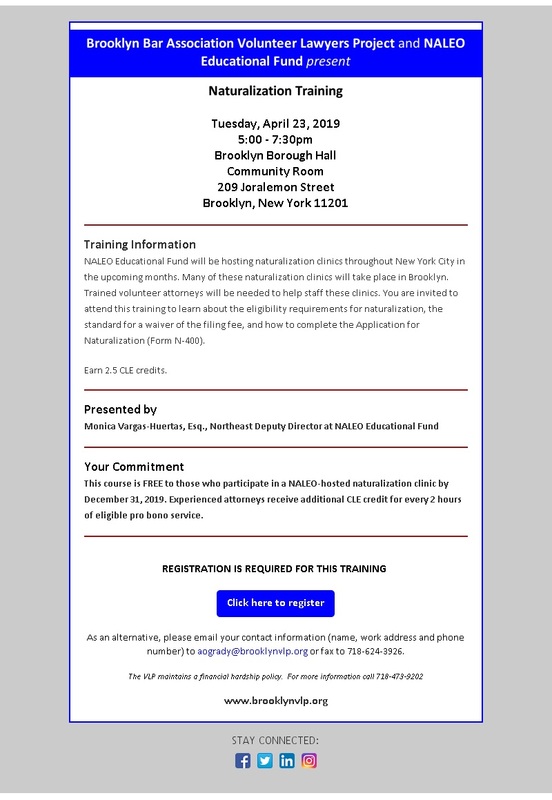 For more information, please contact Anne O’Grady at aogrady@brooklynvlp.org.